Piraeus Port Authority (PPA), operator of Greece’s largest port, wants the Greek government to speed up the approval of an investment plan that aims to attract more business to one of Europe’s largest harbours, executives said. PPA, majority owned by China’sCOSCO Shipping, is awaiting the green light from Greece’s shipping ministry to proceed with mandatory investments based on its concession agreement with the Greek state. ATHENS, April 18 (Reuters) – Greek ferries remained docked at the country’s ports on Wednesday as seamen, marine engineers and ship cooks walked off the job to protest against planned government reforms which they say will further hurt their labor rights. The 24-hour strike was organized by Greece’s seamen federation (PNO), which said the leftist-led government was preparing a reform allowing non-European flagged transport ships to sail in Greece, leading to job losses for Greek crews. The reform is coming on top of pension cuts, rising unregistered labor and work without any insurance, PNO said. PNO said later on Wednesday that the strike would be extended until Friday morning. “No more blows against our sector,” it said in a statement. 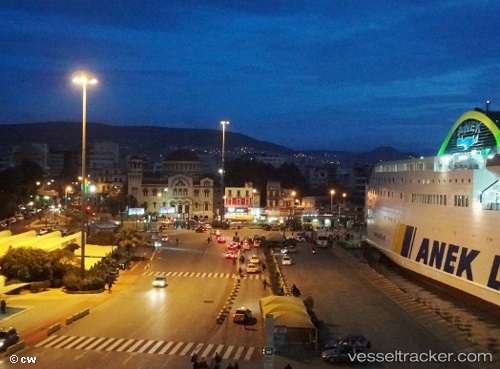 Passenger traffic was slow at Piraeus port on Wednesday morning. Traffic has been picking up as the summer, the top tourism season for the Mediterranean country, approaches. Marine unions have strongly resisted reforms liberalizing the shipping sector, which along with tourism is a pivotal industry for Greece, a country of proud seafarers and shipowners.